Guests experienced the bright lights of The Neon Carnival and the magic of The Winter Circus. Guests were welcomed to a morning of excitement and wonder, where they experienced our 2018 Christmas themes first hand. Here at 8 Northumberland Avenue our reputation of being the first venue to launch their Christmas themes each year continues. On Tuesday 5th December, we opened our doors to 60 key clients and agents for an immersive Christmas 2018 Showcase. 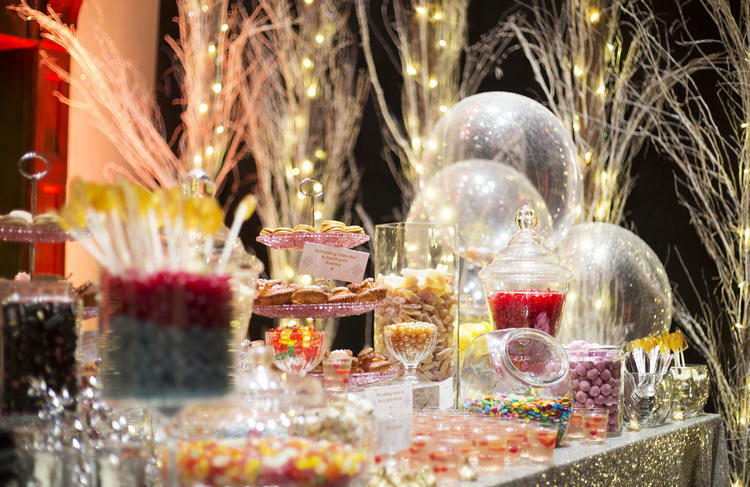 Our Christmas party venue in London has held the title since 2015 when we launched our Christmas 2016 themes in the beginning of December, after spotting early booking trends. Then in 2016, we used Virtual Reality to launch our 2017 Christmas themes, helping clients visualise the themes for a year ahead. This time guests were welcomed to a morning of excitement and wonder, where they experienced our 2018 Christmas themes first hand. The two themes will be across two spaces providing parties for 100-1,000 people, which can be used separately or complimentary. The experiential launch told a tale of the infamous Northumberland Bros returning for one last time. The Neon Carnival, bringing all the lights, sounds and fun of the fair and The Winter Circus, taking guests back to a bygone era of magic and romance. On arrival guests had to find their way through a darkened walkway, lit only by neon lights, playing games and enjoying entertainment from a neon hula hooper. Upon presenting their admission ticket, the Winter Circus was revealed from behind a heavy, draped curtain. Guests were treated to a breakfast served from an oversized birdcage and a gentleman juggler provided entertainment along with distorting mirrors. Our 2017 themes, The Lost Palace of Atlantis and Winter Glitz & Glamour, were in place allowing guests to see them brought to life. 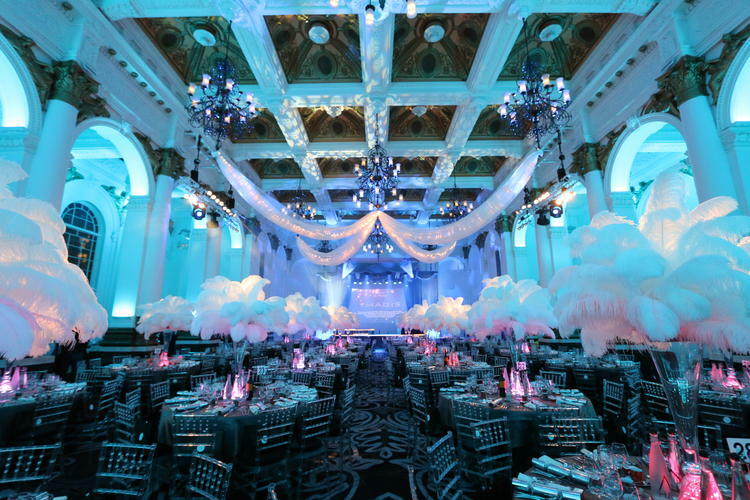 We wanted to reassure guests that as a Christmas party venue in London, we have the ability to transform themes from concept to reality, and what better way to do that than providing guests with the chance to experience 2018 whilst seeing 2017 in full swing? Despite looming economic uncertainty, experiential events are still at the forefront of brand awareness and are an integral part of the decision process for customers. The ‘Brand Experience Report 2017’ by Campaign Magazine found 80% of agencies increased their headcount for experiential employees, with 42% of budgets being increased to accommodate such events. 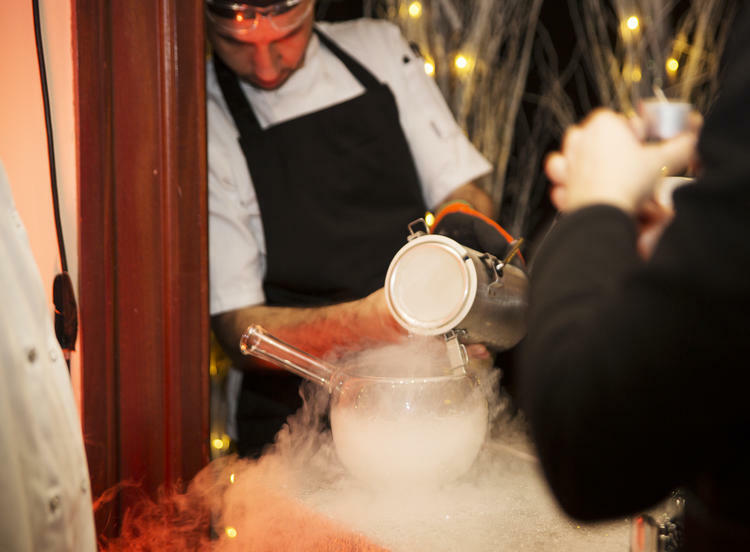 As a Christmas party venue in London, we incorporated this trend starting with an ‘eat the theme’ event in 2015, to being able to see the theme through Virtual Reality in 2016 and of course, 2017’s immersive theme launch. For more information on booking your Christmas party at 8 Northumberland Avenue, contact the team today.